Sound Advice for First Time Home Buyers | Fournier Law Firm, Ltd. The real estate market has been improving significantly over the past several months. Home prices are on the rise and homes aren’t sitting on the market for very long before going under contract. This is great news for home sellers, but challenging for those looking to purchase a home. First-time homeowners might find the conditions overwhelming and intimidating. 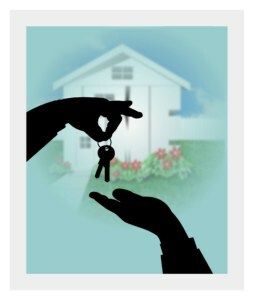 CNN Money published an article written by Beth Braverman which outlines several mistakes first-time home buyers make and tips for avoiding these pitfalls. Important reminders noted include getting pre-approved for a mortgage early in the home buying process, not maxing out the mortgage limit provided by the lender and keeping emotions out of the decision making process. It is highly recommended that all prospective home buyers get pre-approved for a mortgage early in the home buying process. It allows the buyer to have an idea of how much money a bank is willing to lend them for a home. As Braverman points out, “Second, it shows sellers that you’re serious and gives you slightly more standing if you’re competing for homes with all-cash buyers.” This can be an important advantage in a competitive market. However, upon receiving a pre-approval, home buyers maybe anxious to bump their budget up to the maximum amount the bank has approved. It is wise to review a detailed budget to be sure the monthly budget can handle the mortgage payment, including potential income changes and other unexpected housing expenses. As the home search continues, there will be bumps in the road, houses lost to other buyers or dream homes priced just outside the budget. Braverman warns, “In that kind of environment, it’s easy to fall in love with a house that’s out of your budget, or get caught up in the heat of a bidding war and end up paying more than you expected.” Being level headed and taking emotions out of the decision making process will ensure financially wise decisions are made. For more details and additional tips, read the entire article.